Given that I’m someone who attends weekly cycling classes in the winter and bikes various trails with my navy-blue mountain bike in the summer, you could definitely say biking is a hobby of mine. Biking is also a hobby for Patrick Stephenson, the Twin Cities bike enthusiast behind 30 Days of Biking. Besides connecting bikers globally who pledge to ride all month long, Patrick is also raising extra funds for World Bicycle Relief—about $3,500 will be matched by your friendly neighborhood brewery, Surly. He is also a local geek who I’m happy to say follows this very site and feels connected to the Minneapolis community. Hearing him tell his origin story, I can’t help but feel inspired to sign up for this pledge. Something that I generally detest about fitness challenges is the pressure to complete the challenge without missing a day. On the 30 Days of Biking website, however, you’re told that it’s okay to skip a day and that there’s no minimum distance to cover. Life happens, exercise can get lost by the wayside, and that’s okay. This challenge just wants to encourage people to choose to bike instead of drive to work. Minneapolis is blessed with bike lanes, and with tomorrow being April 1, it’s time to put those to use. I’m impressed by the 2,000-plus bikers who have already signed up to bike daily for the next month. I see participants from Minnesota, but also from areas all around the globe. I tend to have a tough time committing to something so far in advance, but I’m very tempted to add myself to the list. Some of the incentives for this pledge are the health benefits of biking, which are endless. According to the American College of Sports Medicine, biking is incredibly beneficial in people with arthritis, as it doesn’t put as much pressure on the hip, knee, or ankle joints. Biking is also a great exercise for beginners because it’s made to be a bit more comfortable and less weight bearing. In 45 minutes of biking, you can burn around 400 to 600 calories, which can add up over time if you pledge to bike daily. Like other forms of exercise, biking also releases endorphins, which lower stress levels and enhance your body’s own immune system. So I would love to see some of you Twin Cities Geek readers take the pledge to bike more! Let’s help save the environment while getting a great workout in and enjoying Minnesota’s spring weather. And once you’re done with your ride, you can support Surly and drink a local beer on tap—that’s where I’ll be after my ride. 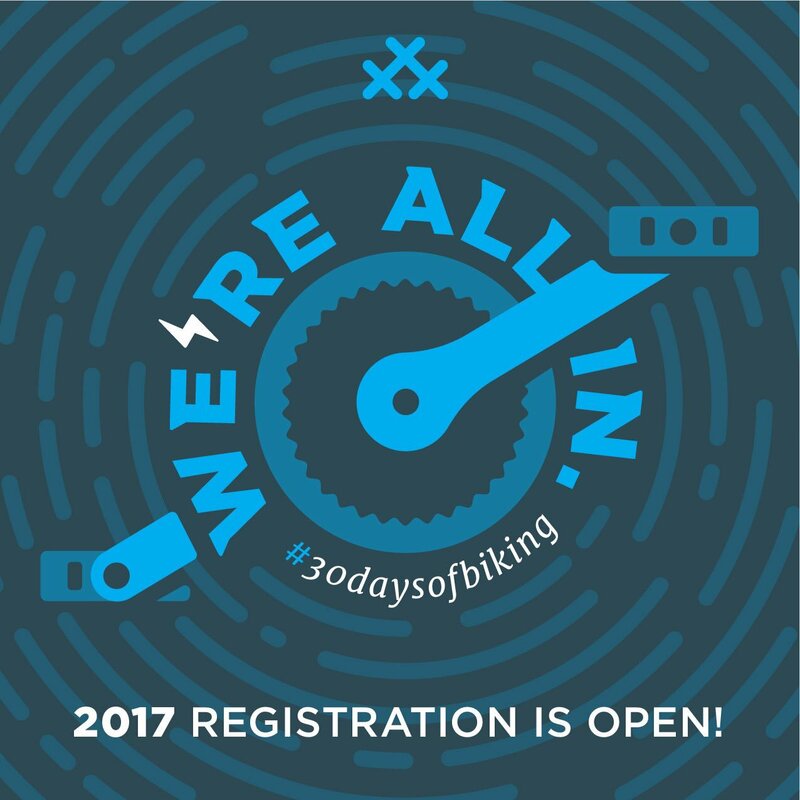 To keep up with 30 Days of Biking, follow the #30daysofbiking hashtag on Twitter or Instagram. You can also follow the Twitter accounts for 30 Days of Biking and Patrick himself. In between gaming and reading, Mariah loves to exercise to stay healthy. She has a BA in exercise science from Winona State University and is passionate about combining fandoms into her fitness routine.